WataugaWatch: What Will the State Ethics Commission Do with the Complaint Against Gov. McCrory? What Will the State Ethics Commission Do with the Complaint Against Gov. McCrory? The ethics complaint filed against Gov. Pat McCrory on January 12 is not a trivial matter (the supporting exhibits run to hundreds of pages). The formal complaint, filed with the NC Ethics Commission, started a ticking clock that will run intensely through the months of January and February 2015 and perhaps well beyond. 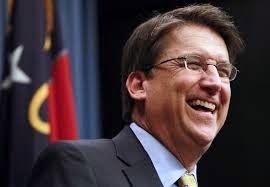 At the very least, the State Ethics Commission must, according to NC General Statutes 138A, complete a preliminary inquiry into the complaint against the governor by February 25. 1. Shortly after the first uproar last August over the governor's failure to list Duke Energy stock on his Statement of Economic Interest (SEI), the on-line access to SEIs suddenly went down without explanation. On-line access is still not available months later. If you go to the Ethics Commission website, the only statement is this: "Access to the Statements of Economic Interest through our website is temporarily unavailable. However, you may submit a written public records request...." "Temporarily unavailable"? That does not immediately suggest an interest in transparency, does it? However, the governor's SEI and the amendments he's been forced to submit because of press questions about their accuracy are available as exhibits (link above) to the official complaint. 2. The membership of the Ethics Commission which will be passing judgment on the merits of the complaint: two of the seven members were actually appointed by Governor McCrory. There are two other seats that will be appointed by Tim Moore, the new Speaker of the NC House, and by Phil Berger, the President Pro-Tem of the NC Senate. Those two along with the governor's two will constitute a majority of four who owe their appointments either to the man being investigated or to his powerful allies in the General Assembly. One of the other three commission members already sitting is Frances X. De Luca, president of Civitas Institute, who was also appointed by Phil Berger. To which we say, "Hmmm." Renee Ellmers, Your Door Prize Is Almost Ready! Tom Ross for U.S. Senate? When "Partner" Is Just a "Working Title"
Is It April Fools Day Already?